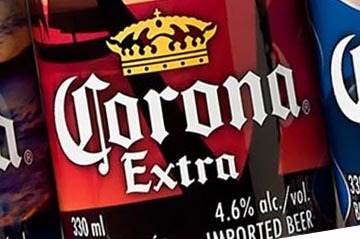 PepsiCo approached Shikatani Lacroix and other agencies to develop an innovative way for Pepsi to connect with consumers. 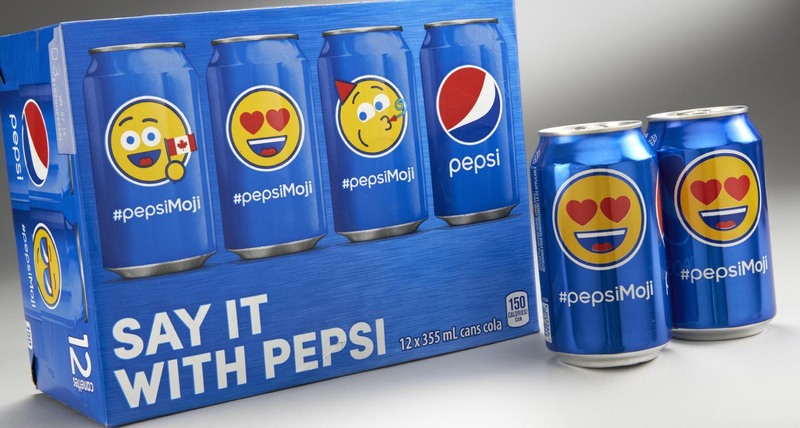 The result was an emoji campaign for Pepsi and Diet Pepsi that encourages consumers to "Say It With Pepsi." 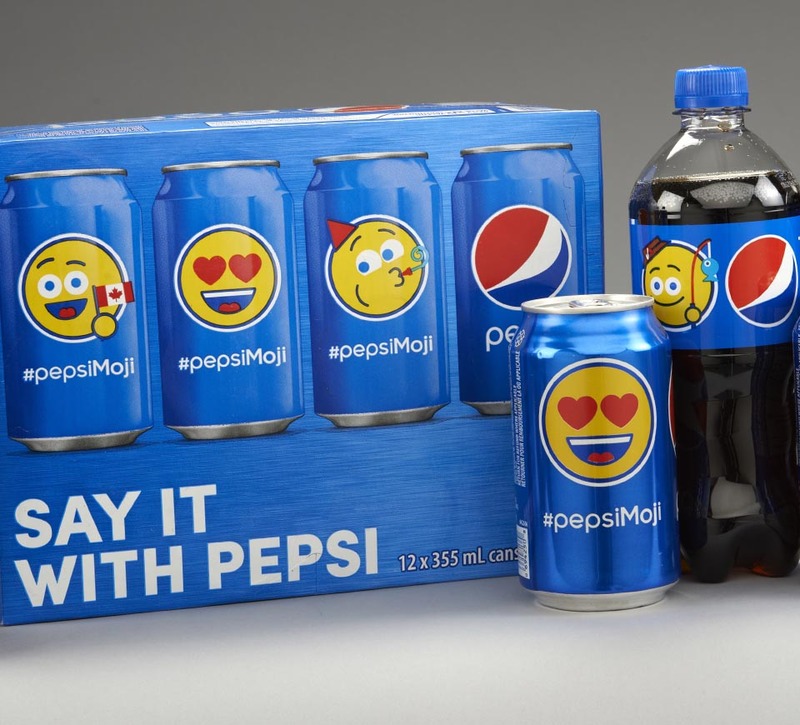 Shikatani Lacroix assisted in designing the PepsiMoji packaging that launched in June 2015. 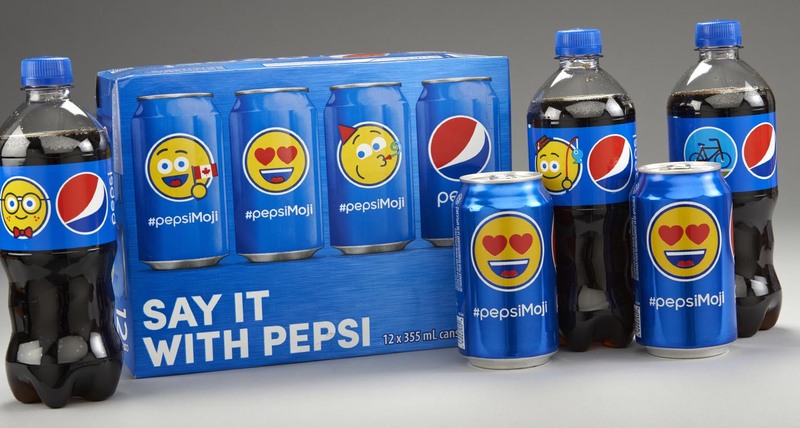 Then in May 2016, Shikatani Lacroix designed a bigger and better PepsiMoji 2.0 campaign to increase volume and category share. 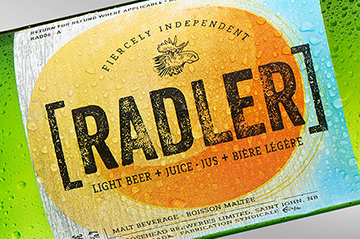 Both campaigns were hugely successful at driving consumer engagement on a global scale. 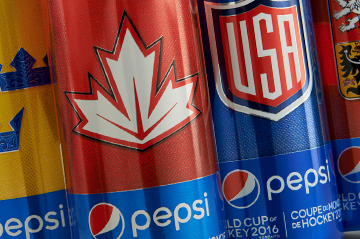 Pepsi discovered Canadians were looking for something trendy that went above and beyond typical contest promotions. Shikatani Lacroix created unique graphics centered on today’s popular use of emojis. 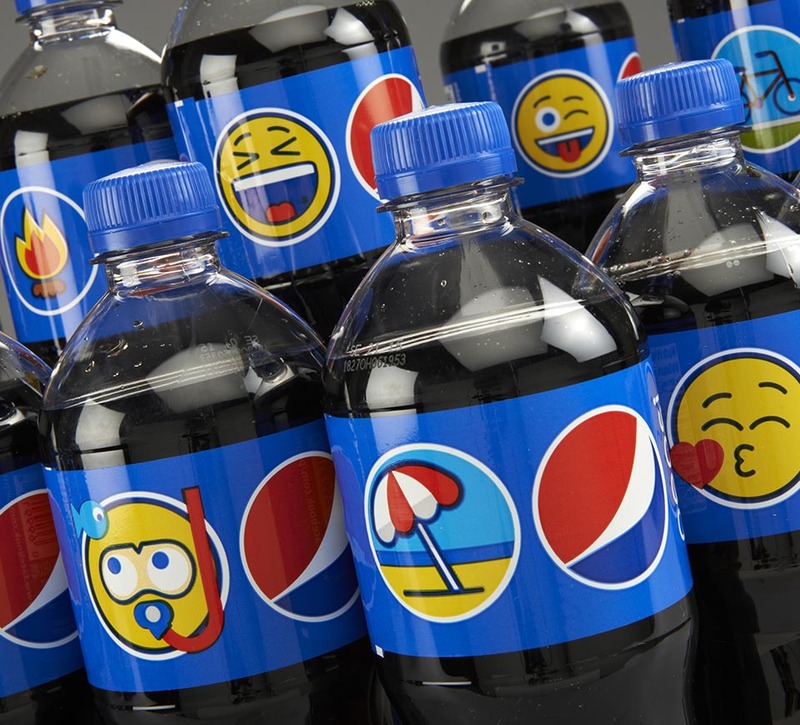 The emojis allow consumers to choose beverages that have been personalized to their preferences, creating an experience that fosters consumer engagement. 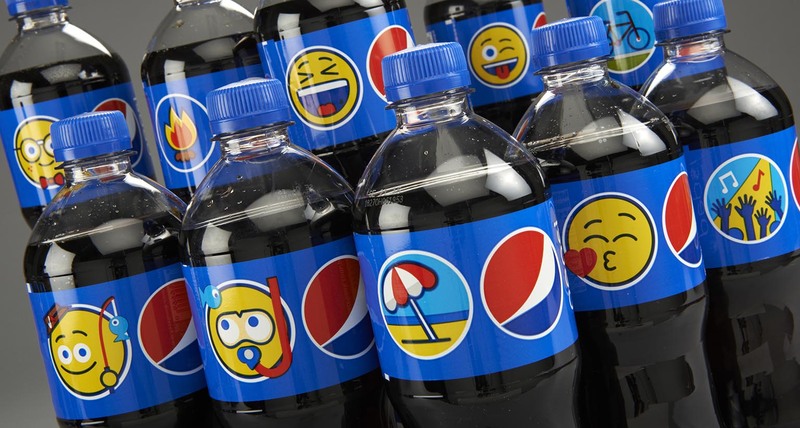 Summer 2015 marked the launch of Pepsi’s PepsiMoji campaign that featured unique emojis on packaging, in-store merchandising, advertising and digital designs. As part of the summer campaign designed to engage and excite customers, PepsiCo understood that storytelling through graphics had the ability to enhance the experience of drinking Pepsi while creating an opportunity to increase brand affinity and boost sales. As Canada reached year two of the program, there was a need to make it bigger and better to grow volume and share in the category. Shikatani Lacroix was again tasked with integrating more unique Pepsi emoji illustrations onto Pepsi and Diet Pepsi packaging. To leverage how Pepsi’s identity could play a larger role in the consumption of cola refreshment products, PepsiCo was looking for a new campaign to draw customers into engaging with Pepsi. Once the PepsiMoji campaign was developed, Shikatani Lacroix incorporated emoji designs into the existing artwork. This project required significant coordination between Pepsi, Shikatani Lacroix and Pepsi’s other agency partners as the summer campaign was developed within an accelerated timeline. While the designs were created to work across various platforms, additional considerations including color constraints, size and line weights had to be given specific limitations. 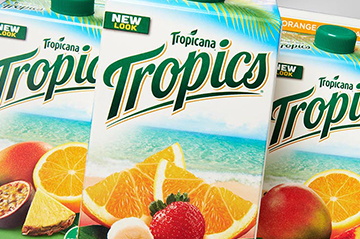 In delivering an updated campaign, Shikatani Lacroix had to maintain the equity of “Say It With Pepsi” while keeping it fresh, fun, bigger and better. 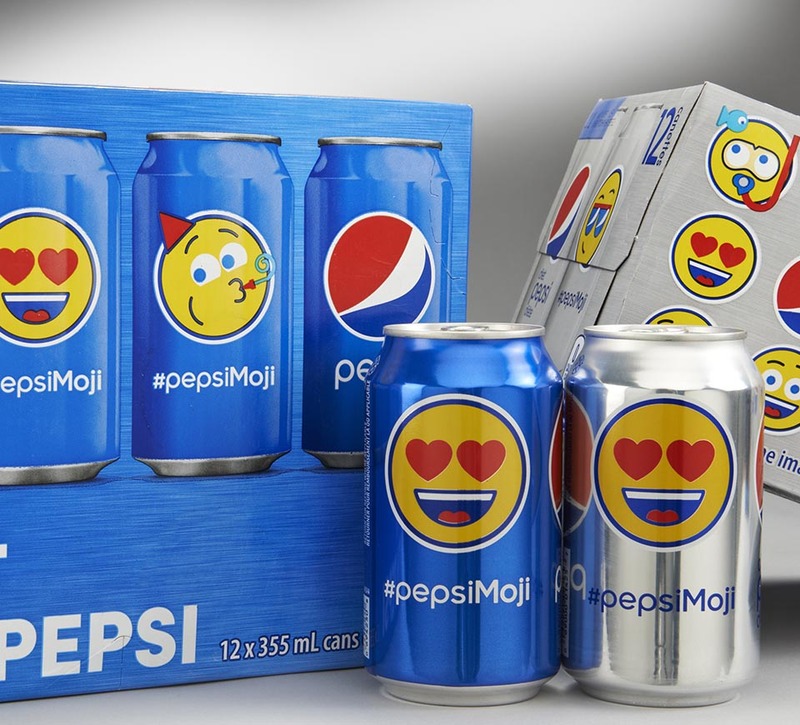 Shikatani Lacroix was tasked to create packaging that provided strong shelf presence and translated to the media strategies centered on the PepsiMoji designs. After conducting a 360-degree review, examining all functions across the organization (strategy, design, etc. 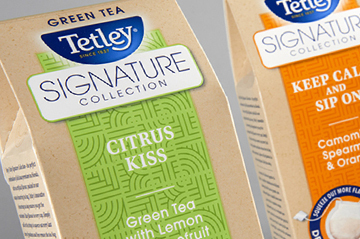 ), Shikatani Lacroix’s team of packaging experts brainstormed ideas with Canadian packaging guidelines and PepsiCo’s requirements in mind. 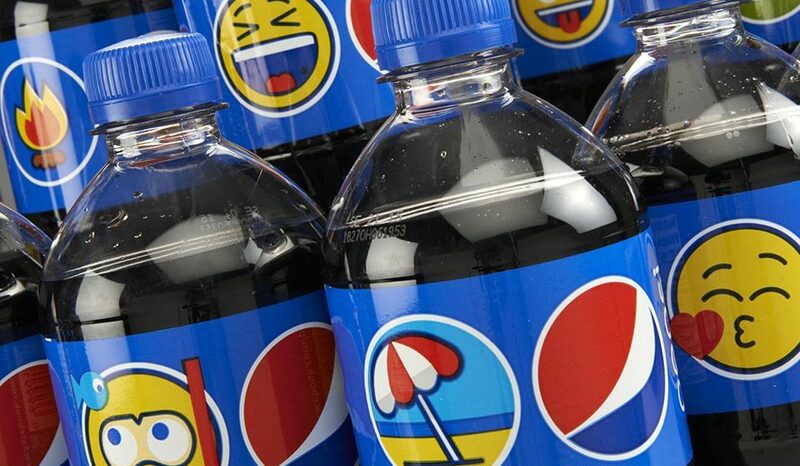 For PepsiMoji 2.0, each flavor would have its own unique set of emojis. The package refresh included Pepsi, Diet Pepsi and Ginger, a new product. The designs feature Pepsi’s iconic globe shape and colours blue, red and white to create a universal language that is proprietary to the brand. 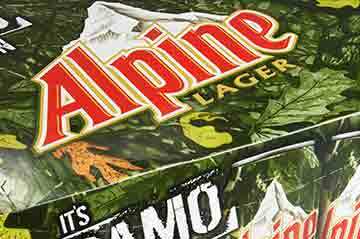 For the first year of the campaign, 36 different bottle and nine different can designs were creatively developed to always stand out on shelf. 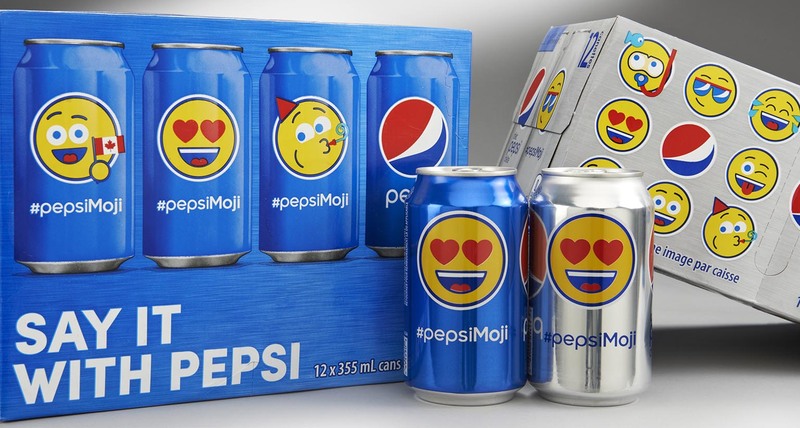 The PepsiMoji campaign launch was timely, capitalizing on customer purchase trends toward personalized beverage products. Along with the core universal set of emoji, regional markets were empowered to create their own set of relevant emoji, with Thailand being one of the first markets to launch its own local emoji. They have now rolled out to more than 100 markets globally. 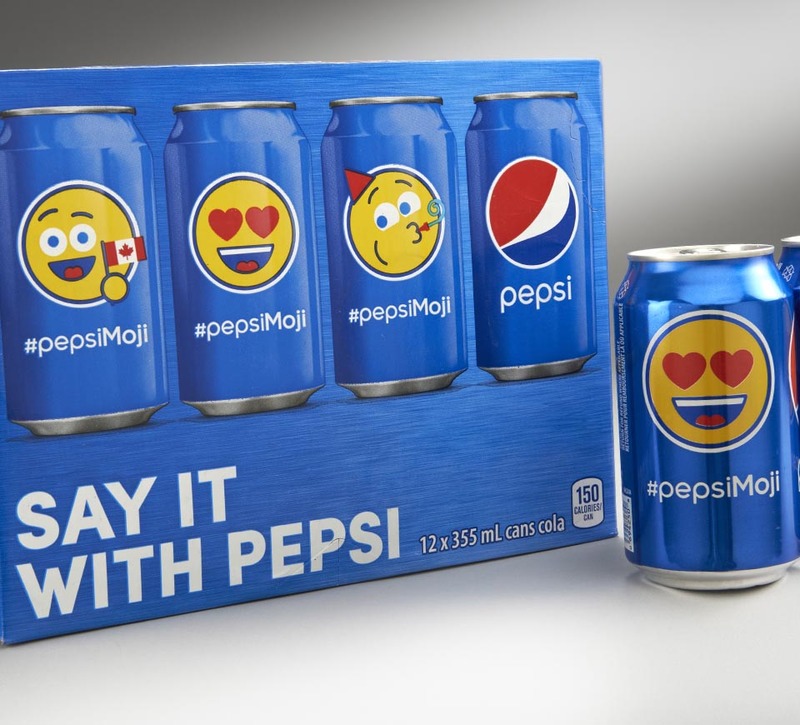 With the launch of both campaigns, Pepsi saw a significant increase in engagement and activity on its social media platforms as consumers used #PepsiMoji to #SayItWithPepsi.